Who doesn’t an astronomically low-cost flight?! Flying around the world for next to nothing sounds ideal but there is a trade-off. Whilst these flights will save your bank balance they will add on the hours to your total trip often in the form of horrendously long layovers. If you love a bargain and are willing to hang around airports for a few extra hours then keep reading as we’ve compiled a list of some tips to help you keep your sanity whilst waiting for your next flight. This is a prime time to catch up on any sleep you’ve missed along your journey so far, head so some comfortable seating out of the way of the hustle and bustle, kick your feet up and get a few winks. You might want to try and sync your sleep with the time of your final destination so be sure to set some alarms to get your body in the flow of things. Mobile batteries are an absolute must as they’ll keep your phone/tablet/laptop powered throughout your trip in the case you’re unable to find a plug socket or if you don’t have the right adapter for your layover country. I mean just because your flying to an exotic destination doesn’t mean you can’t still binge watch your favourite Netflix shows. As terrifying as this sounds, layovers are a great way to stay sensible and get some extra work done. You’ll have the chance to catch up or even better, get ahead of your work and giving yourself less to worry about when you land back home. You can breeze through pages of a good book during your long layovers. It’s typically a good idea to bring a couple of books just in case you really get in the zone and finish the first one over the course of the first flight and following layover. 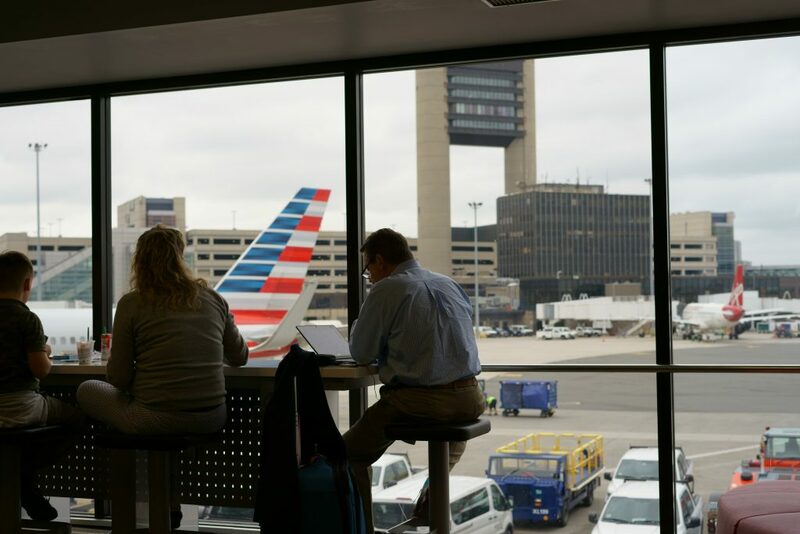 Planning ahead of time is a huge bonus as it gives you the opportunity to get out of the airport and do some exploring (given that your layover provides enough time). So have a look for attractions nearby and shuttle points/prices, chances are you’ll be able to take a short 20/25 minute Zeelo bus ride and get out for a few hours before being pushed back onto a plane, plus it gives you another place to tick off your must-visit list!